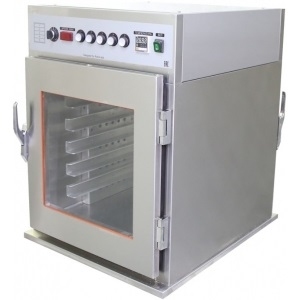 Pie Holding Cabinet with convection, capacity 36 pies (specially packed!). The cabinet has a bright lightbox with changeble image on a wing door. The door has a magnetic latch. 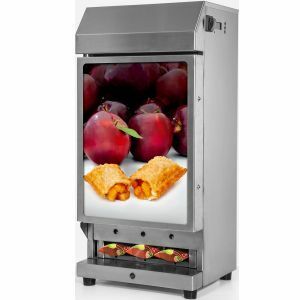 Cabinet interior includes a special runner rack for packed pies, for quick and uniform heating of the entire volume. 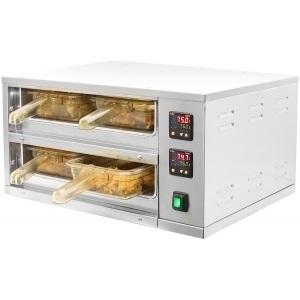 The cabinet holds precise internal temperature. 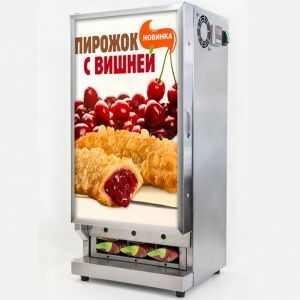 The factory set temperature is +69С, it can be adjusted from +30 to +90С. The cabinet is counter top or it can be fixed on the wall. Energy comsumption is minimal due to the heat-insulated housing.